A set of four garter type seals for any hicam 175/200/250. Generator side crank. Timing side points & two gearbox shaft seals. These are double lipped seals which are superior to the cheaper single lip & far less likely to leak as the outer lip acts as a dust seal protecting the inner seal & allowing it a clean shaft to seal on to. 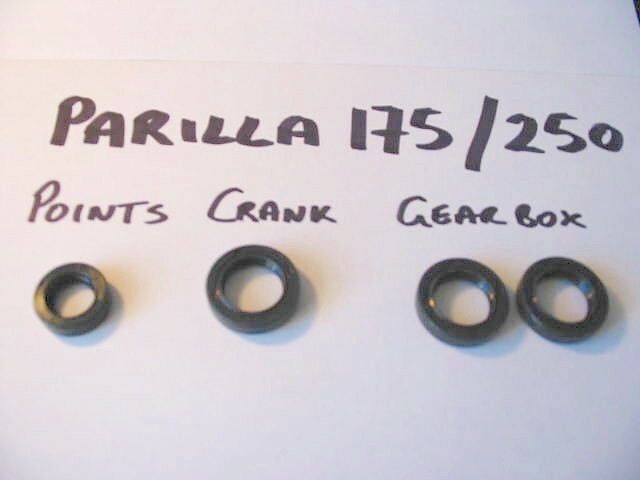 All around the Parilla high cam engine there are oil drains & feeds – rockers, crank end, sump plug, gearbox index plunger, & oil filter. A complete set of 12 sealing washers will replace all the fibre & alloy ones, can be reused, & should last a lot longer than the originals. 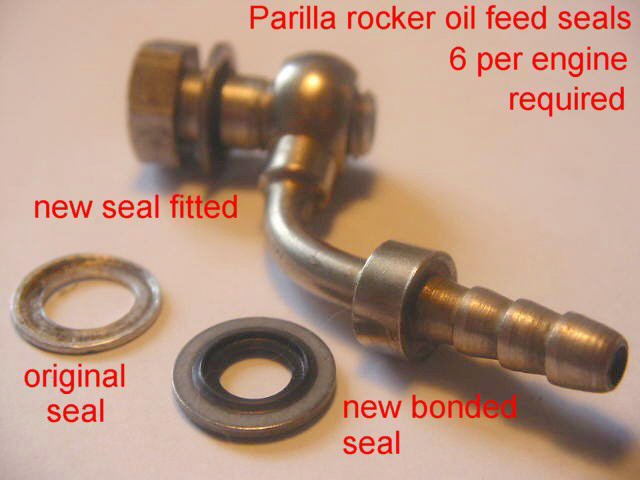 The majority of hi cam Moto Parilla engines have a T-shaped oil tube to feed oil from the the timing cover to the rockers. Unfortunately the oil feeds need to be disturbed to check the valves & the original alloy washers once undone seldom seal again. 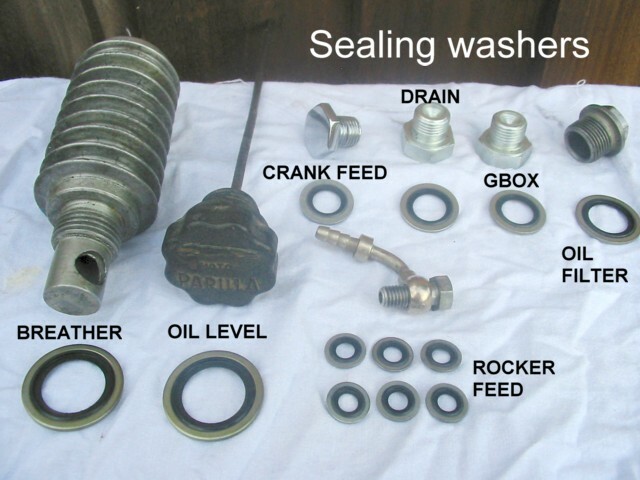 Modern practice is to use a bonded sealing washer. This is a conventional metal washer with a small “O” ring bonded to its inner diameter.